Of course, I’m not going to say any of those things. 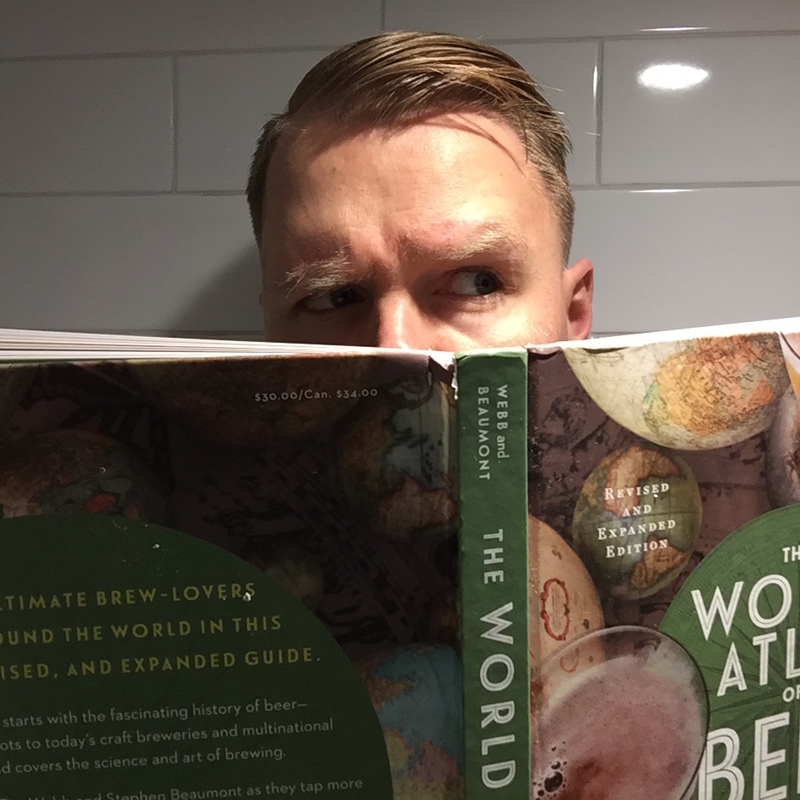 That’s because this book, newly revised and expanded for a 2016 edition that features updated information and a new ‘Guide to Bad Beer’ seems a very likely item to be included in all manner of the obligatory “holiday gift guides” that bloggers and newspaper editors the world over are about to subject us to. And so, because there are so many nice things one might say about this book that you are surely about to hear from a lot of people and because those people are sure to focus on the myriad reasons why you might want to read this book, I thought I would offer instead some handy uses for this very nice book that do not involve reading. 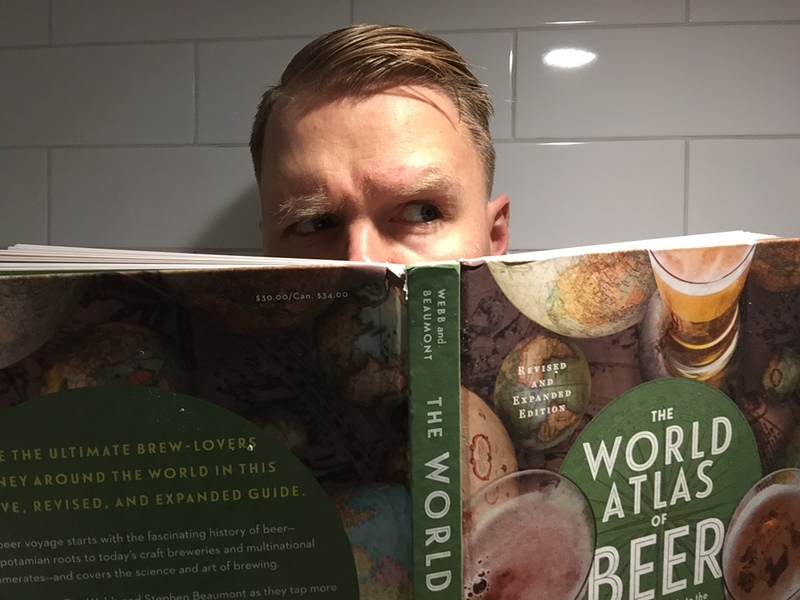 Here are five great things to do with The World Atlas of Beer, that do not involve reading it. 1. Open a beer with it. 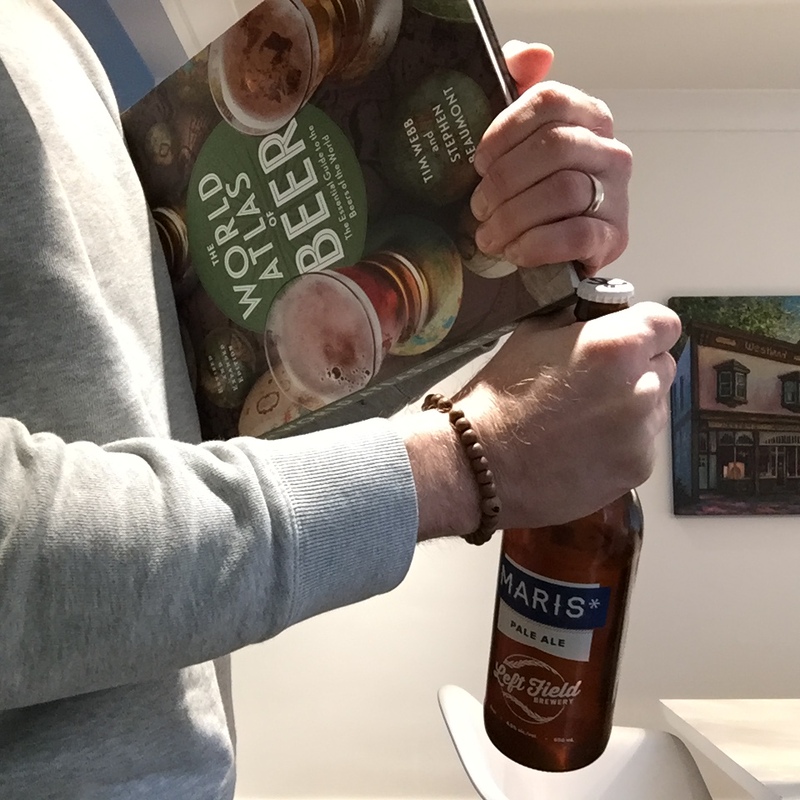 Honestly, it’s not a great opener, but if you’re on the couch reading this book and have a beer in hand that you need to open, it might do in a pinch. 2. Use it to avoid eye contact on public transit. No one likes interacting with other humans if they don’t have to. 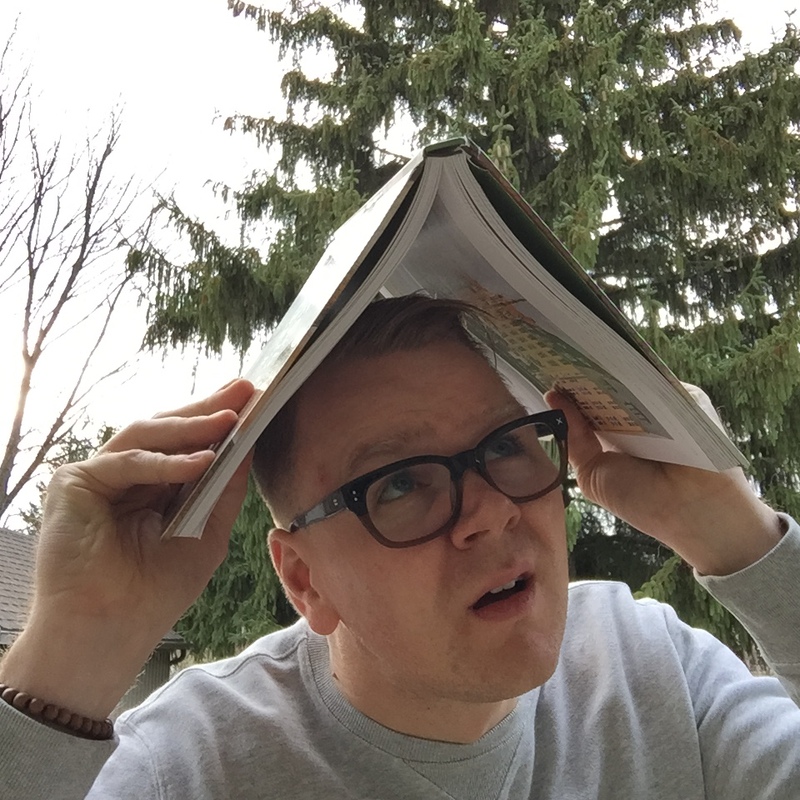 This book is large enough to handily protect you from nosy busybodies, overly-friendly commuters, and people seeking charitable holiday donations. You could even pick your nose behind it. 3. 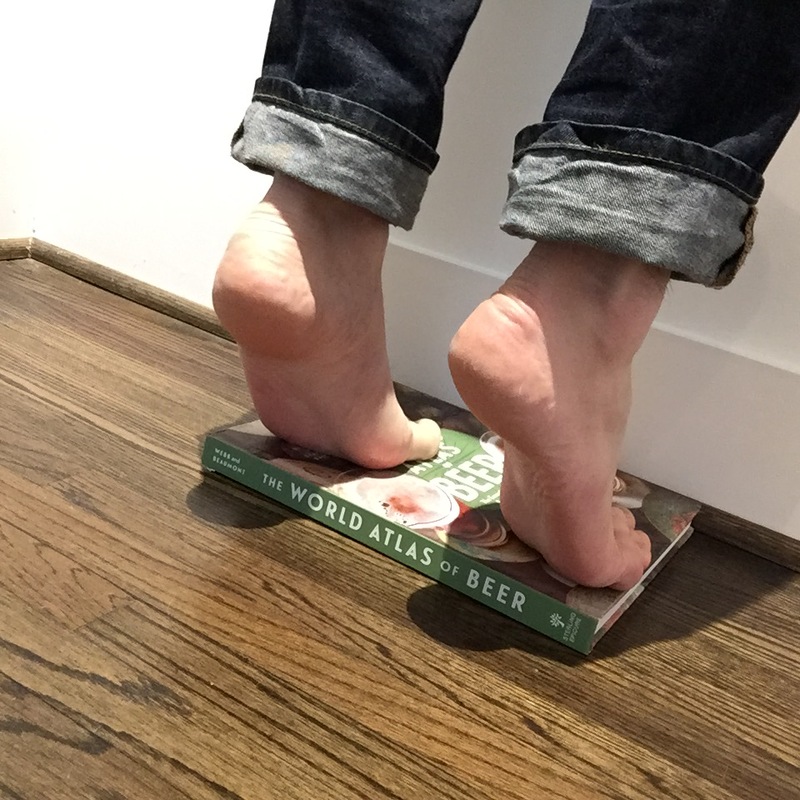 Use it as a very small stepping stool. If there are any items in your home that are roughly one inch out of your reach, this is the thing you’ve been waiting for. 4. Use it as a tunnel for your choo choos. If cheeky Thomas wants to go whooshing through a tunnel on his way to Tidmouth Sheds, James wants to keep the rain off his shiny red coat of paint, or even a leaser-known engine like Ryan here wants a rare day of adventure, this book will do the trick nicely. (Full disclosure: I can’t speak to adaptability with those Chuggington freaks). 5. Cover your head with it in inclement weather. 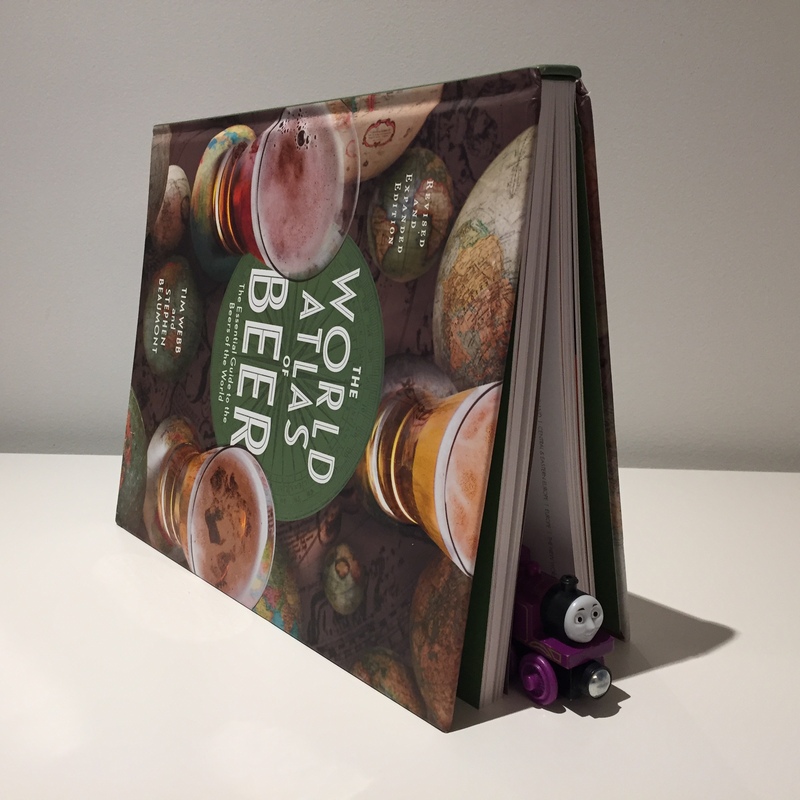 If you’ve got no umbrella and you find yourself in the rain, this book seems to be made of sturdy enough stuff to at least have you covered for a kilometre sprint to the nearest shelter. Much more reliable and fashionable than that free left-wing daily you’ve got jammed in your bag. If you want to get your hands on this book for any of the above uses or, I guess, read it, it retails for $30.00 and is available on Amazon, here. Hahaha thanks for the morning chuckle, Ben. You could also do some light bench pressing with it. Or practice good posture while walking with it on your head. Endless uses!! Heads up for an OCB delivery that should be arriving for you today.